Tennis is an awesome sport your kids can learn while they’re young and full of energy! Aside from being fun, this racket sport builds your kids' physical and mental skills that can help them well in the future. 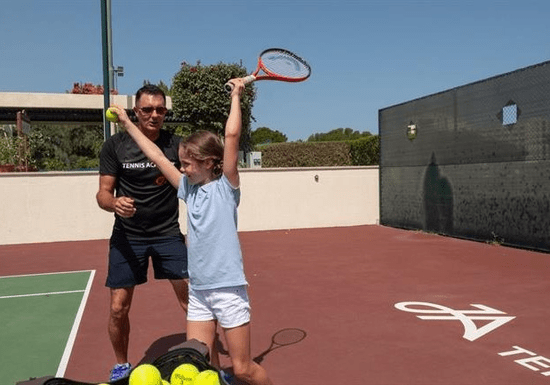 In this private tennis class, kids will get exclusive tennis coaching from a highly-qualified coach who will design a custom program to suit their individual needs. Whether your kids are new to the sport or have previous playing experience, the lessons will focus on the areas they need to improve their game. Kids will learn everything from basic racket grips to tennis strokes (serve, forehand, backhand, overhead, and volley), as well the stances, the right footwork patterns, and the actual gameplay. Let kids try it out by booking 1 session, 10 sessions for them to become competently capable of joining a full tennis game, and 20 sessions to make your young athletes master the techniques. 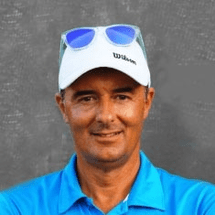 ​​​​​​About the Instructor: Davide Giusti is the head coach of the junior/adult program at the Jebel Ali (JA) Tennis Academy Dubai. He has been teaching tennis for about 13 years and has also competed and won in various men's and doubles events in Italy. He is a GPTCA C-Level International Coach (ATP Certification) and also has a PTR tennis coach certification.